Relik is an enterprise that started as a dream of four friends--Ryan Ordonez, Timo Roxas-Chua, Patricia Anne Cortez and Chef Benjo Tuason. Relik has been coined from the word 'relic" an ancient vibe portrayed in their antique decorations and conversational pieces, brick walls mixed with trendy furniture that gives the place a relaxed atmosphere. Its dim-light backdrop is just right for a casual night of food trip and drinking. Relik Tapas Bar at The Fort, which opened in November 2011, is situated at the second floor of a Bonifacio Global City high-rise. We were served Jamon Platter (a selection of jamons, cured meats, olives, and cheeses) as an appetizer. I love making my own finger food combinations on the crostini. I enjoyed the quesadillas, served with pico de gallo and guacamole. The bowl of Pumpkin Soup (with crème fraiche) was good. The Baked Australian Brie with Tomato Salsa (creamy Yarra Valley brie wrapped in jamon and lightly glazed with honey) was perfect as well. The creamy brie perfectly matched the toasted bread it was served with. I have tried Lengua Bourguignon (slow-cooked Wagyu cow’s tongue in red wine, demi-glace, moir poix, and lardoons) before, and this dish simply took my breath away! So delectable! 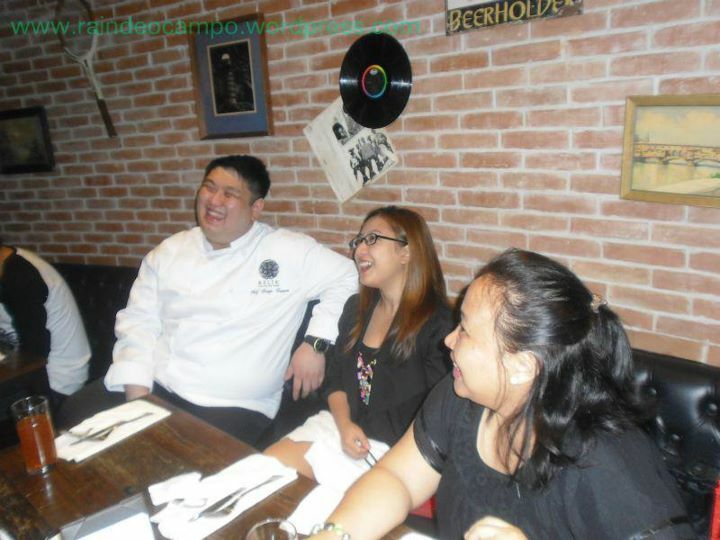 Their menu is filled with Spanish Mediterranean dishes depicting a mix of tapa plates with Relik’s signature dishes. Mother Ann's Braised Ox-Tail is another dish that I like. The beef is juicy as it falls off the bone. And the buttered carrot garnish is complimentary. I'm not a great fan of shrimps but the Gambas with a Kick caught my fancy. It is a must-try. I have a sweet tooth and I so love Chef Benjo's Vanilla Amaretto Panacotta (berry compote consistency is just perfect with a lady finger). It is the best dessert I've ever had. Relik considers serving people, providing good food selections and making patrons happy and satisfied as important part of its business. Get platefuls of something new, at Relik Tapas Bar for your share of Mediterranean cuisine! Revel in this unique dining experience that your family will surely love.